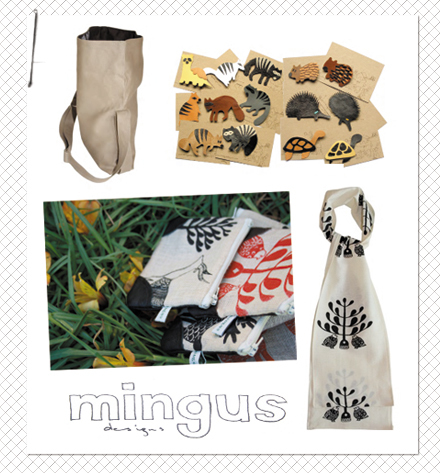 Mingus Designs just recently released their new line called ‘Forest Folk’. It's a beautiful cohesive collection of bags, purses, scarves and brooches - all made from natural fibres and upcycled leather. Each piece is based around Dear Songsuwan's (designer/owner) own original hand drawn illustrations which are then screenprinted onto the fabrics. Oh, I love this! Off to check out the whole line!